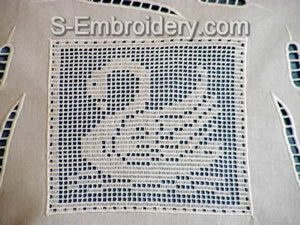 A set of 3 machine embroidery designs - a swan freestanding lace crochet square and 2 bulrush cutwork lace embroideries. Note: The second bulrush design is a mirrored copy of the first one. The set can be used for decorating pillow cases, table cloth or in other embroidery projects. 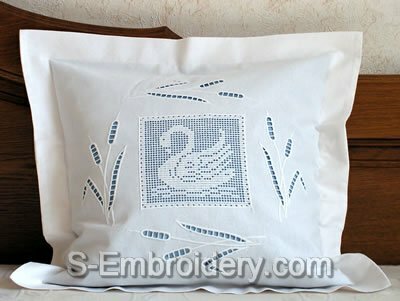 You receive 3 machine embroidery files in one of the selected formats and PDF information and instructions for decorating a pillow case as featured on our web site. 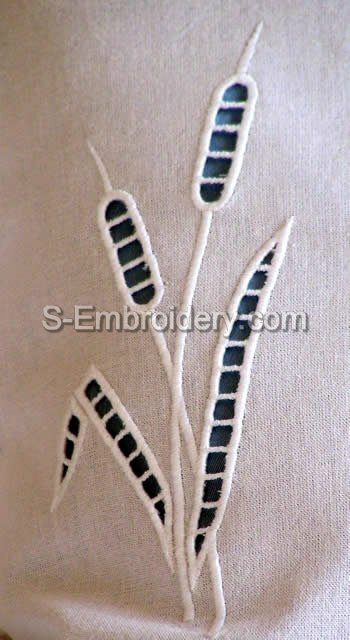 I love embroidery very MUsch!